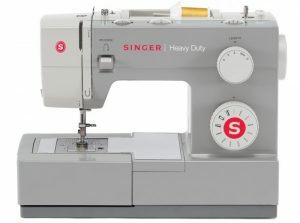 This SINGER 4411 HEAVY DUTY sewing machine is a true workhorse. 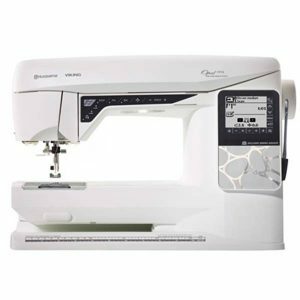 With a heavy duty metal interior frame, stainless steel bedplate, extra-high sewing speed and powerful motor, it can sew through just about anything you throw at it. 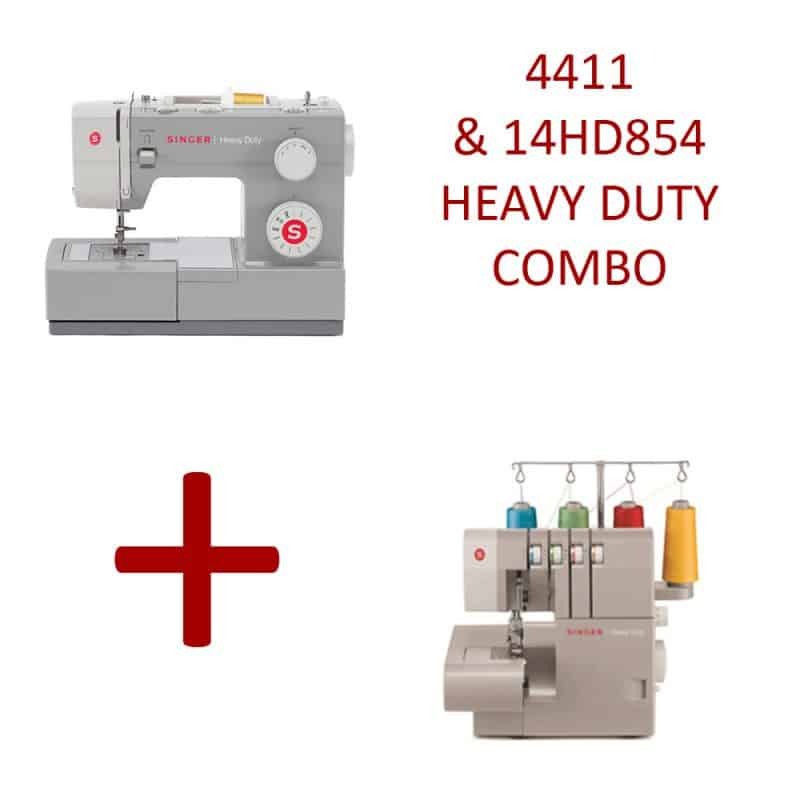 Convenience features including top drop-in bobbin, fully automatic 4-step buttonhole and drop feed for free motion sewing adds a new dimension of ease to heavy duty sewing. 6 Basic Stitches, 4 Decorative Stitches, 1 Auto Buttonhole—perfect for crafts, home decor, clothing construction and much more! Convenient drop-in bobbin is easy to insert and remove. The clear view cover makes it easy to monitor the bobbin thread supply. The Singer Heavy Duty 14HD854 creates a neat, finished edge and professional looking results. 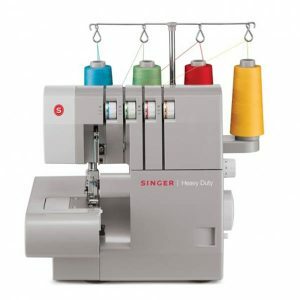 Whether your customer is ready for a serger or ready for an upgrade, this machine delivers consistent, quality stitches through super heavy-duty fabrics. 1,300 Stitches Per Minute Professional speed for faster results. 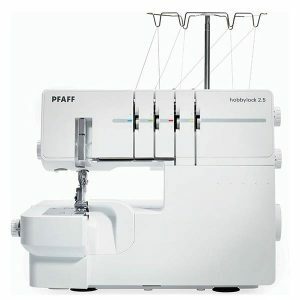 Differential Feed and Fully adjustable to ensure even feed for perfect seams on every fabric no breaking or puckering. 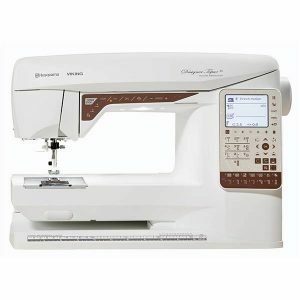 Smoother Multi Speed Sewing and Machine feeds smoothly at all speeds. Superior Fabric Feed System and Assures consistent quality stitches on all fabrics. Larger Cutting Knife cuts heavyweight fabrics with ease. Moveable Upper Knife can easily move knife to prevent trimming of fabric while sewing. Heavy Duty Metal Frame and Machine remains still for skip-free sewing. High Performance Motor and Better, quality results on heavy fabrics. Portable – Carry handle makes it easy to take your serger to class with you. Built-In Rolled Hems – More hem options, especially for lightweight fabrics. Converting to the Rolled Hem sewing mode is effortless. An easy access lever moves the stitch finger in position for rolled hemming.